Toast To The Good Life With Crown's Soiree Goblets. Includes A Stock Image And Your Very Own Text Engraving. 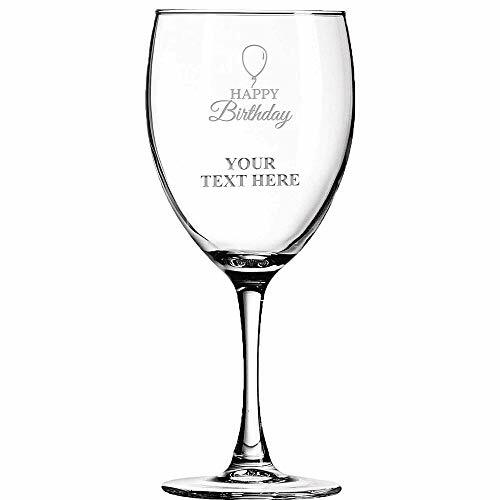 This Personalized Wine Glass Makes A Great Gift For All Occasions! Exclusive from LifeSong Milestones! Celebrate your new picture frame with family and friends with our unique personalized photo frame gift for your partner. These fully customizable photo frames allow you to showcase your special moment with your loved ones. Your details will be laser engraved into our exclusive customizable frame by LifeSong Milestones craftsmen. 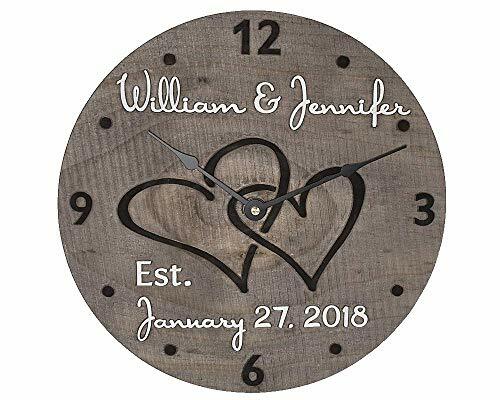 11" diameter personalized wooden clock... custom made just for you! 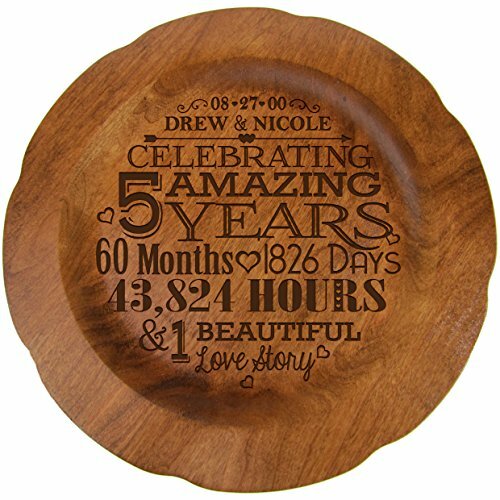 Features interlocking hearts, couple's first and last names with established year. Precision carved from 3/4" thick solid pine so that the features are raised from the rustic background! Hand stained on all sides in a charming barnwood gray color. Powered by a battery operated silent quartz movement (Made in the USA). Requires one AA battery (Not included). Keyhole slot on back for easy hanging. Great gift for weddings and anniversaries! Please feel welcome to contact me if you have any questions about ordering one. Looking for a way to remember that special moment in your life -- the day you got married, the day your family grew, the day you got engaged, or any other memorable occasion? 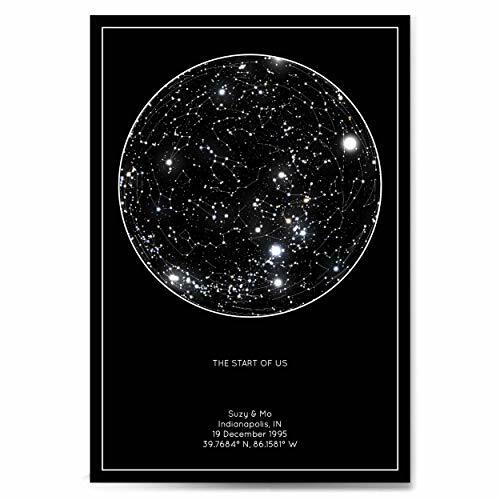 Relive that special day over and over again with your personal star map! Using professional astronomy software, we are able to chart the actual view of the night sky created from the date and location you provide This is how the stars aligned when your life changed forever! 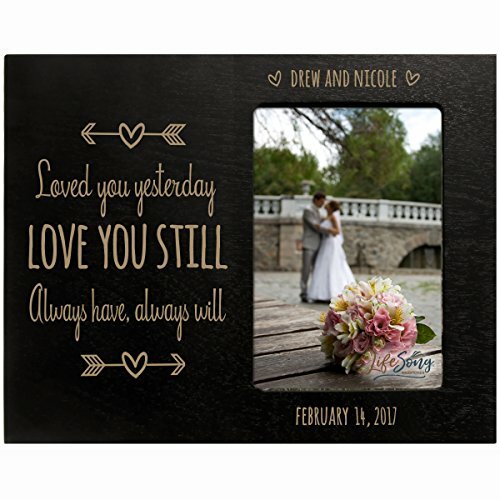 Printed on high quality, heavy cardstock, unframed The perfect black and white, high-quality decor for anywhere and everywhere Truly a UNIQUE and SPECIAL gift to commemorate any special occasion! Simply use the customization boxes to provide us with the details of your special day and we will do the rest! Please Note: We will use the exact wording and grammar you enter. This poster is also ALL CAPITAL LETTERS; please send us a message if you have any special requests and we are more than happy to help! 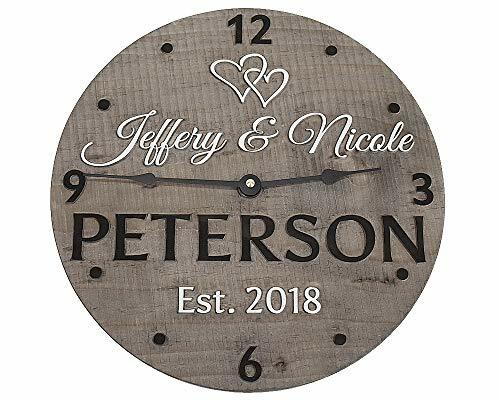 11" diameter personalized wooden clock... custom made just for you! 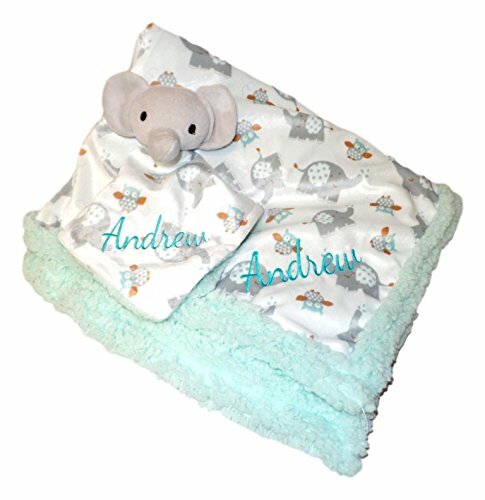 Features interlocking hearts, couple's first names and established date. Precision carved from 3/4" thick solid pine so that the features are raised from the rustic background! Hand stained on all sides in a charming barnwood gray color. Powered by a battery operated silent quartz movement (Made in the USA). Requires one AA battery (Not included). Keyhole slot on back for easy hanging. 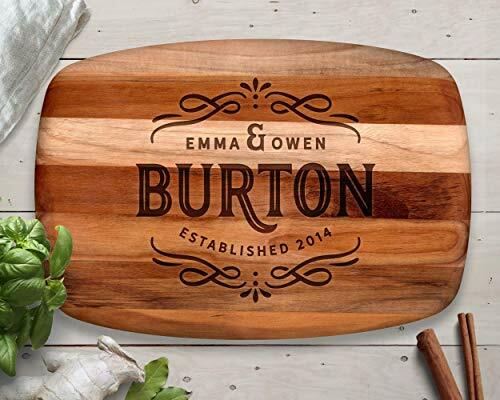 Great gift for weddings and anniversaries! Please feel welcome to contact me if you have any questions about ordering one. Custom ZIPPO! Customize this Zippo Lighter with YOUR IMAGE! Great Gift Idea!